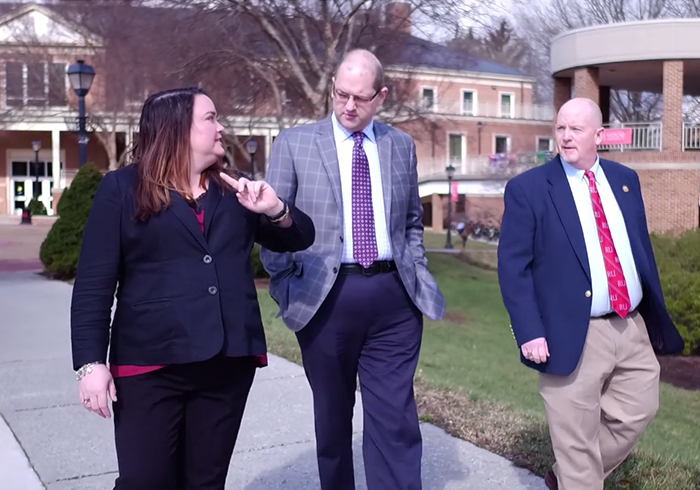 Bookstore Manager Jaime Hillman, Barnes & Noble College Regional Manager Len Scoggins and Director of University Services, James Perkins, walk across the campus of Radford Univesity. 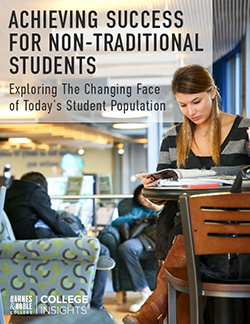 As the mission of higher education evolves, so too has the role of the campus bookstore. From transactional retailer to a more fully supportive partner for the campuses they serve, the bookstore has become an integral part of the school’s mission in better serving students, faculty and community. Pivotal to delivering that supportive role is the store manager, who now must build relationships outside of the store’s four walls. The importance of that role was recently underscored at this year’s Barnes & Noble College Annual Meeting. During the first ever “This is Leadership” discussion panel, the forum provided an opportunity for store managers from cross the country to discuss the challenges and opportunities of their individual campuses — and the benefits that come from building those relationships. Expanding the role of the store manager can lead to the development of some new skill sets and accomplishments. “The industry has changed so much in the 23 years I’ve been with the company, and what’s changed most is the impact of technology,” explained Roberta Mirro, Store Manager at Farmingdale State College. With a background in textbooks, Mirro’s outreach meant getting over her fear of technology. “We’re constantly evolving, and I can’t believe I’ve gotten to the point where I’m now the one who’s actually saying what’s next,” she says. It’s that kind of shift in engagement that hasn’t been lost on her school partners at Farmingdale. “This year we integrated FacultyEnlight and Blackboard, which is the LMS for the campus,” explains Director of Auxiliary Services Corporation for Farmingdale, Gerry Watnik, “and that’s going to open up so many more opportunities. We really rely on Barnes & Noble College and our bookstore manager to really help us stay on the cutting edge of what’s happening in the industry,” she adds. Emily Conley, Bookstore Manager at Somerset Community College, would agree, particularly when it comes to explaining the merits of OER. “When we’re talking about cost, faculty that it resonates the most with are the ones we have a relationship with,” she said. But the bookstore can play a support role for more than just the academic side of the college campus. Bookstore Manager Emily Conley speaks with Jo Marshall, President of Somerset Community College. Holly Tickner, Store Manager of the Sam Houston State University Bookstore, recalled her first year-in-review meeting to an audience of three school administrators. Some 10 years later, that number has swelled to 40, including the President, every Vice President, every Dean and the Athletic Director — along with student government, to involve everyone on campus. “What is really positive about that experience is that it brings in everyone from across the university, and it shows what each of us, in our different areas, is doing, and the kind of support the bookstore provides for us,” says Bobby Williams, the University’s Director of Athletics. That level of communication and understanding can be as crucial inside the store as well as out. Cheryl Griffith-Kline, General Manager at the University of North Carolina at Charlotte Bookstore, has taken care to develop her bookstore talent through the bestseller program, introducing more young people to retail as a career choice while also building a stronger bench to meet the future challenges in higher education. 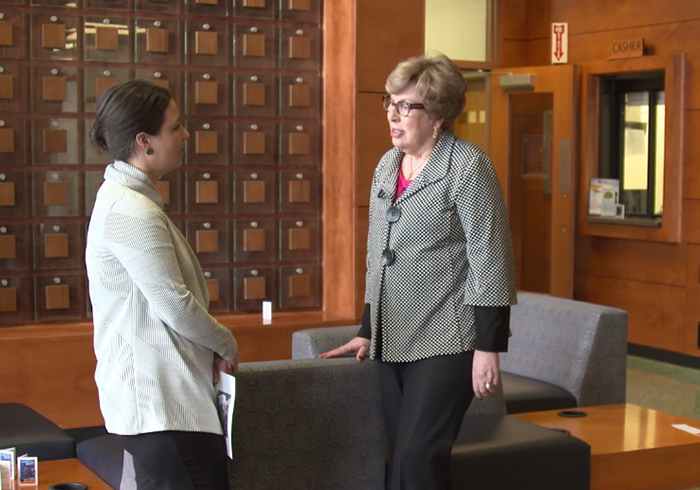 An additional advantage is that it’s enabled Griffith-Kline’s bookstore team to grow and develop through delegation, allowing her to get out of the store to concentrate on more campus-wide initiatives such as LMS integration. 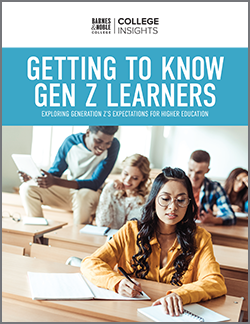 Elevating the campus bookstore to a position of influence not only makes good business sense, it also benefits and supports each campus’s goals. Conley took her strategic partnerships even further, working with her college’s Administrative Council to adopt Barnes & Noble College’s WOW! customer service training, which resulted in her becoming part of her college’s recruiting team. “These kinds of initiatives help us grow, keep us relevant and help us to continue to find solutions to our school’s challenges,” she said.